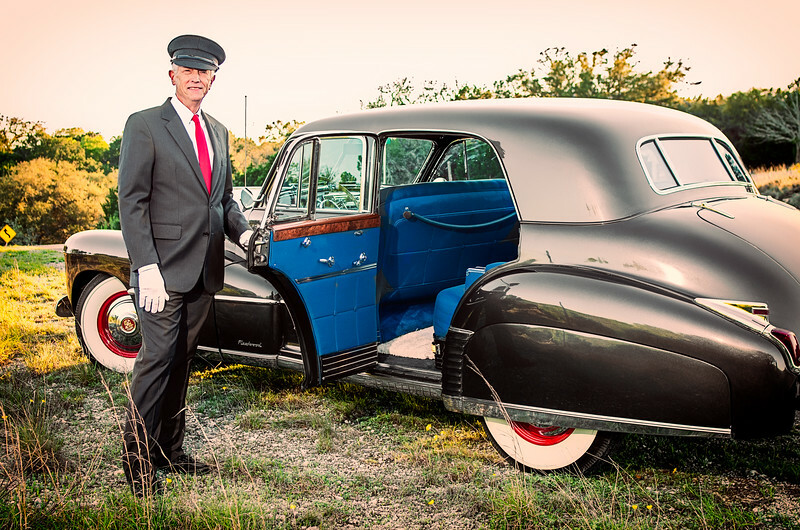 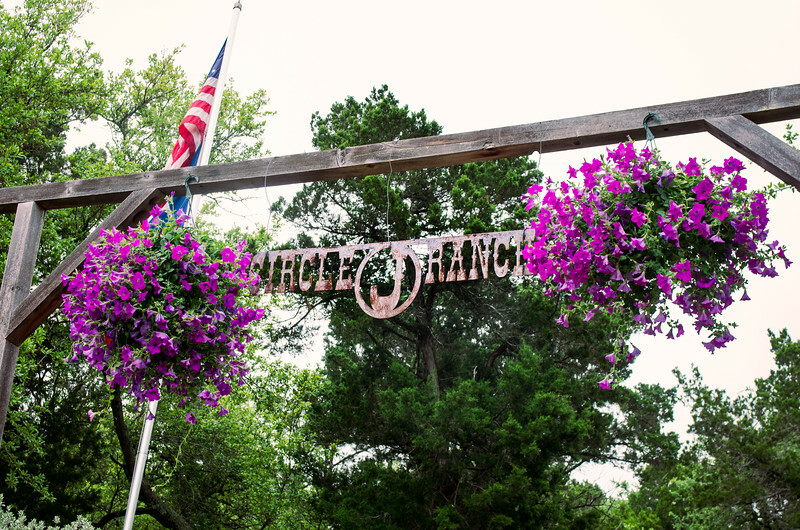 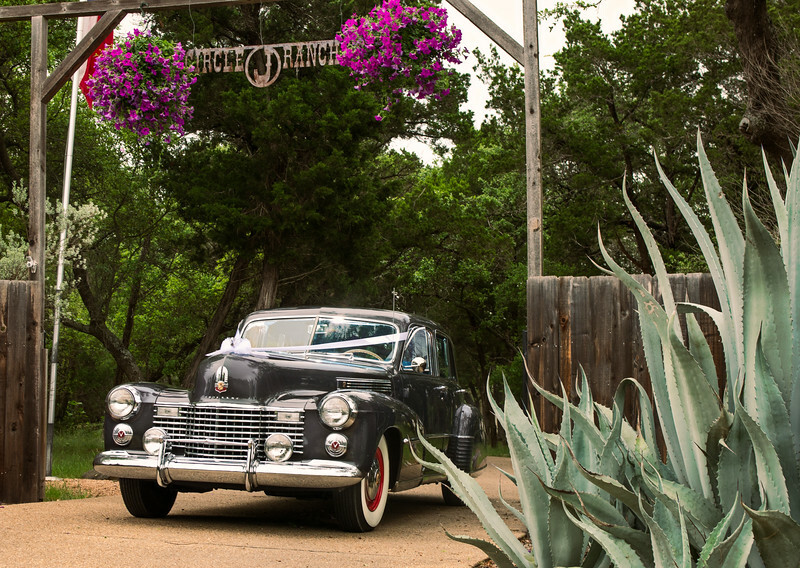 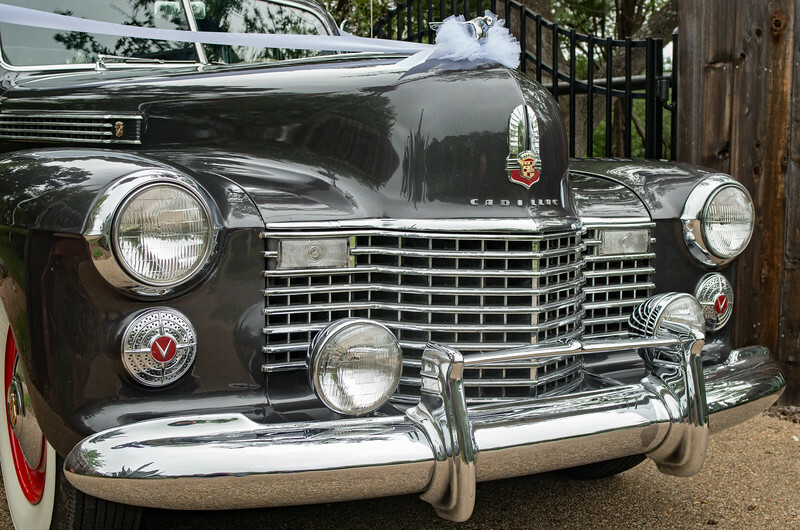 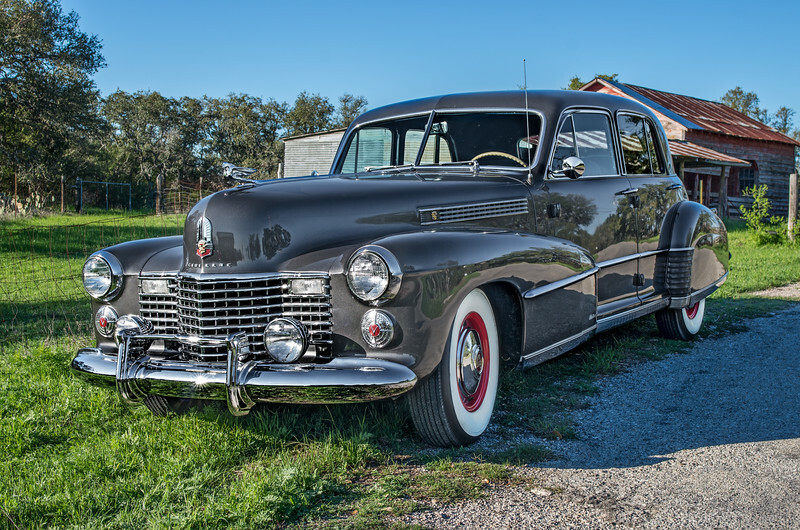 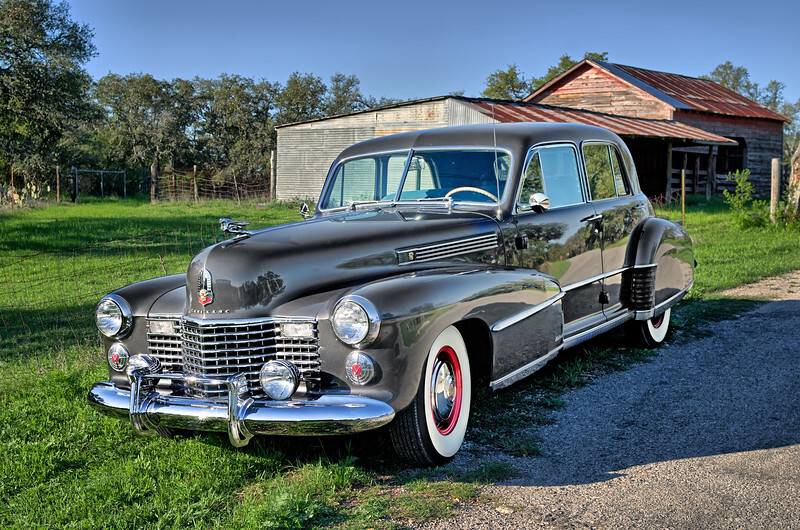 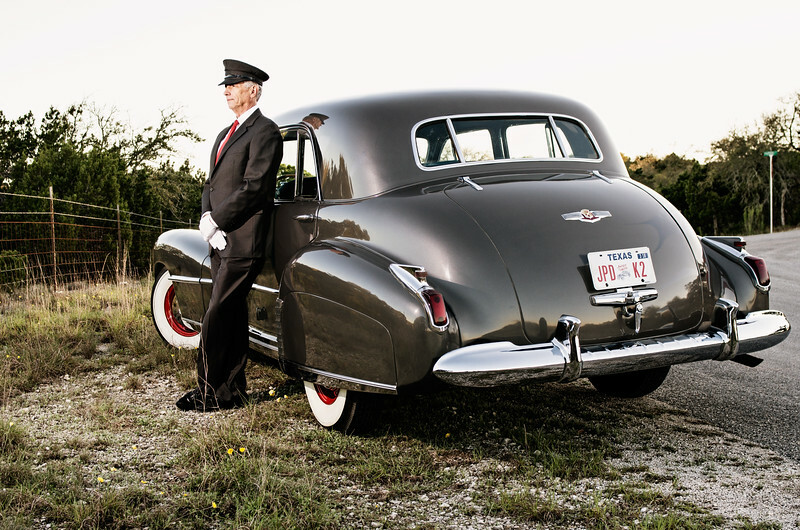 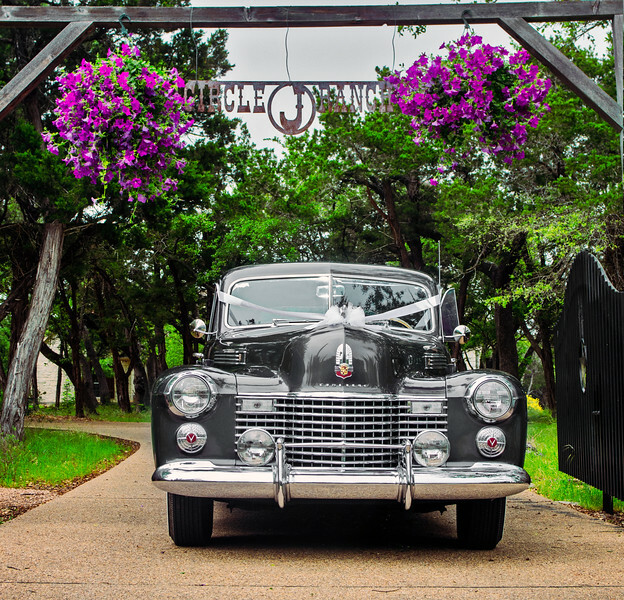 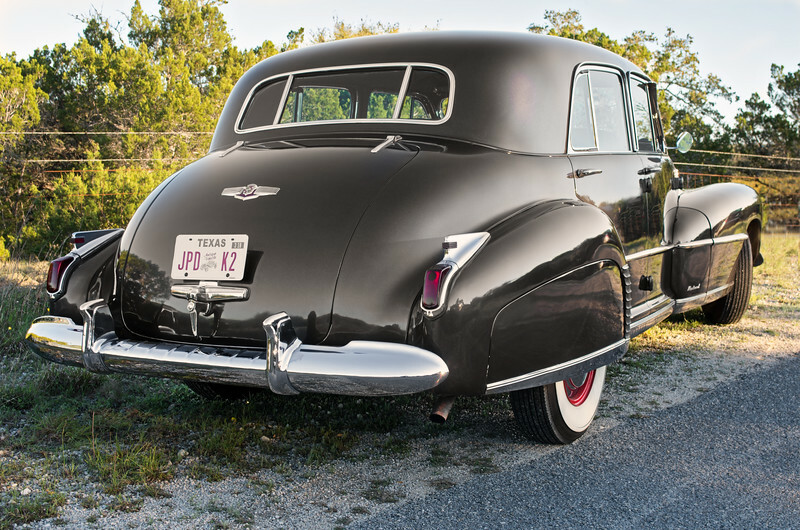 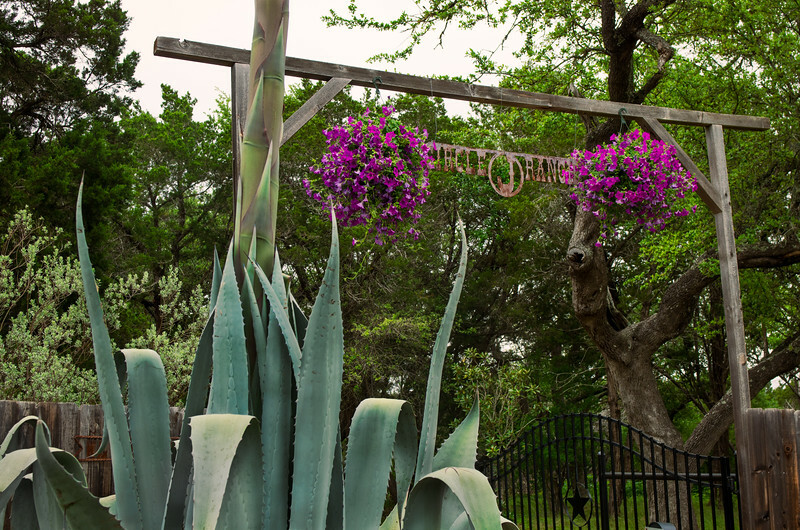 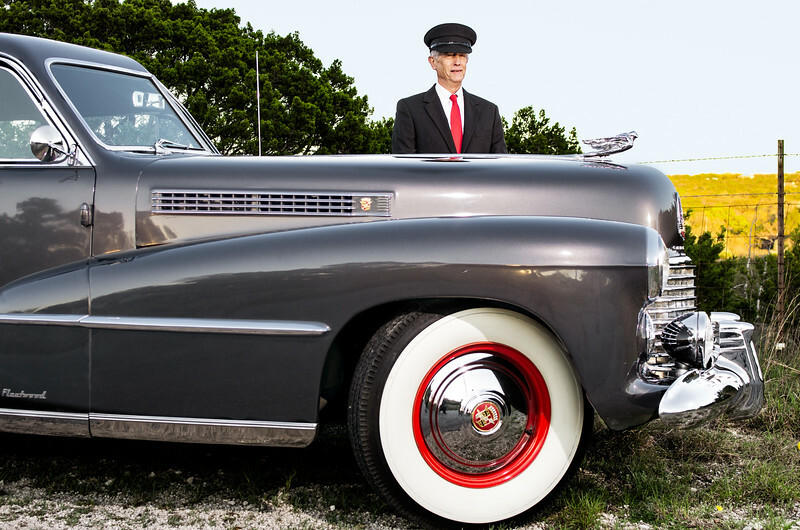 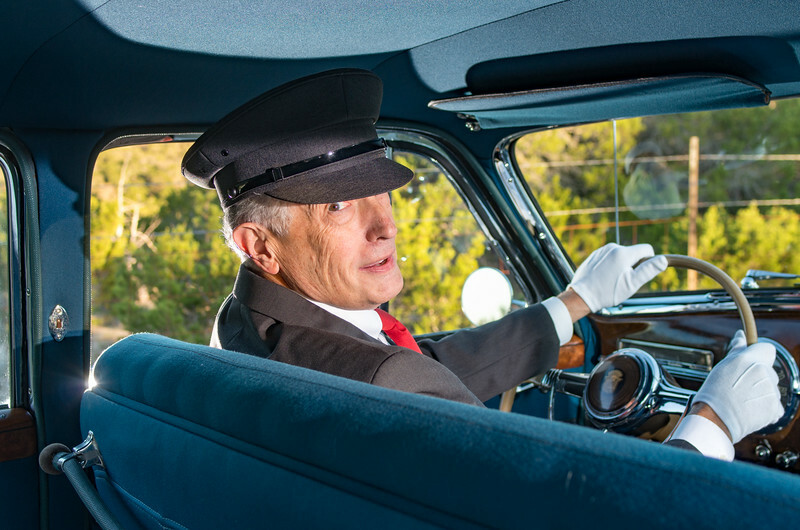 1941 Cadillac on a Texas hill country road. 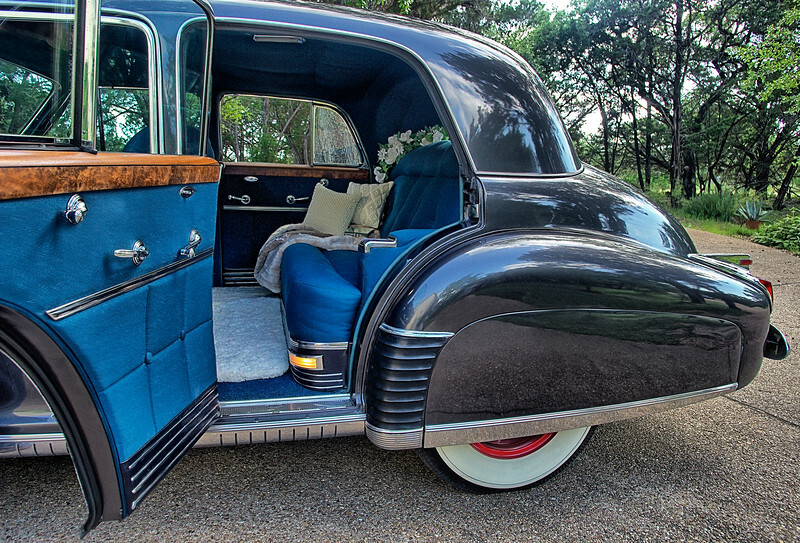 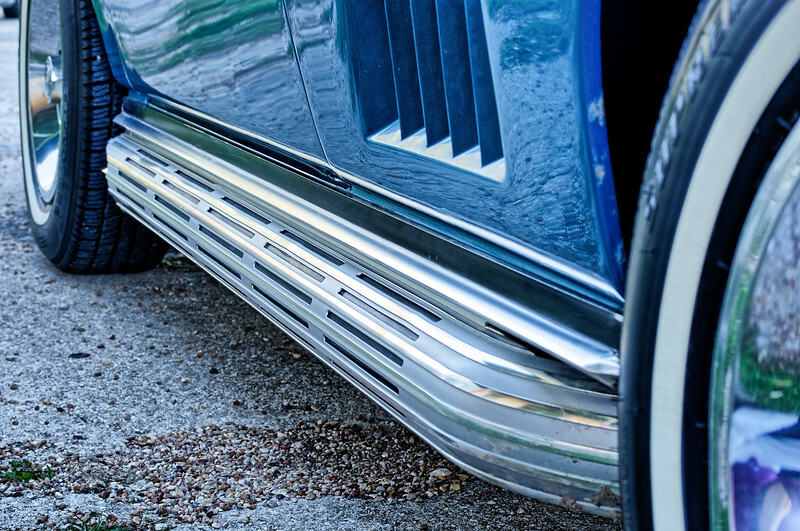 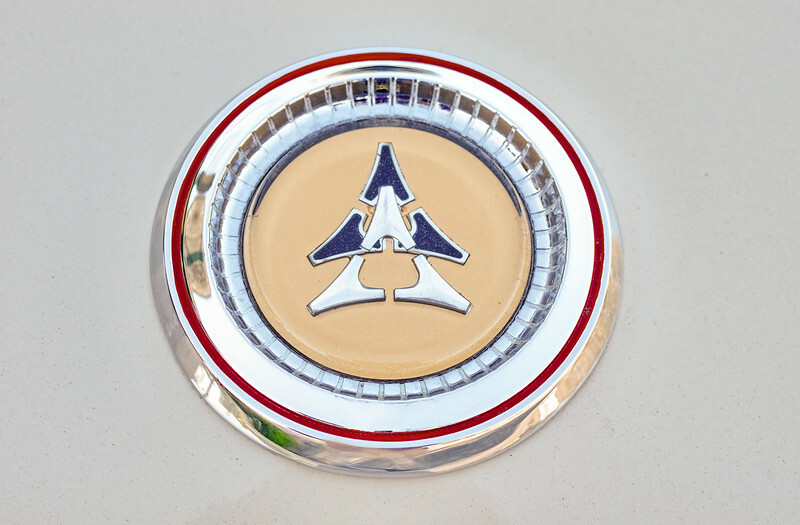 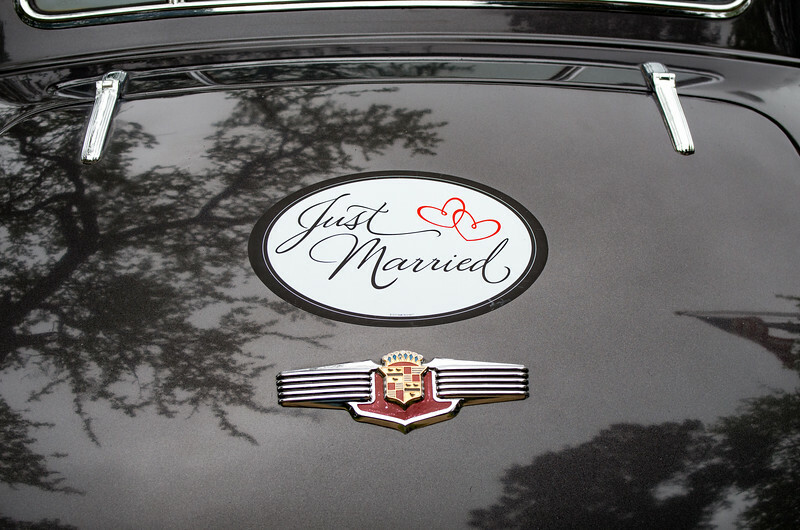 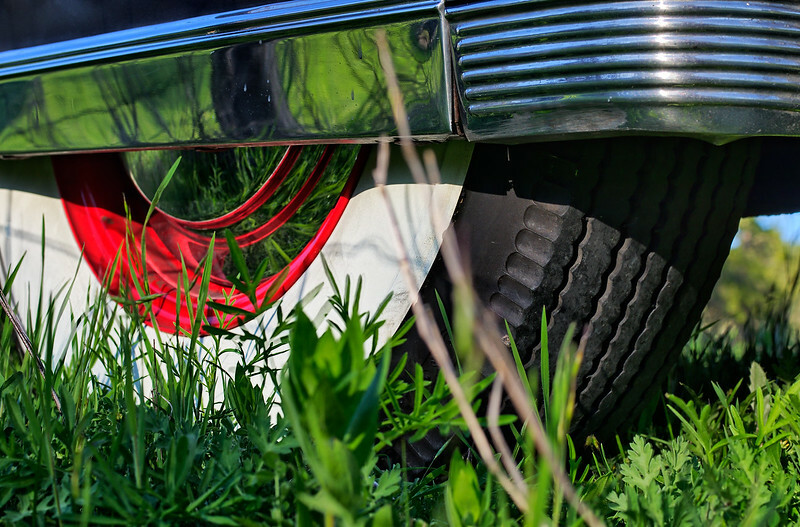 Rear tire view of 1941 Cadillac. 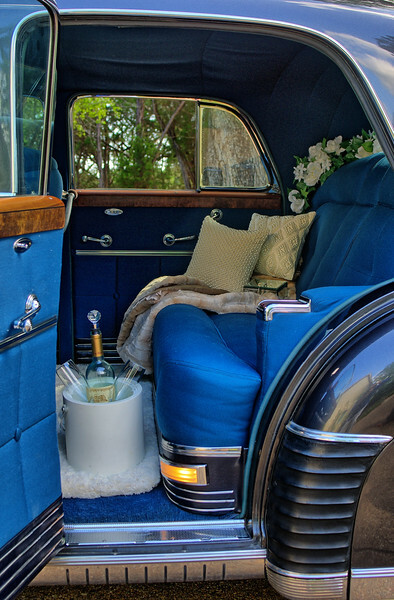 Back seat luxury in a 1941 Cadillac. 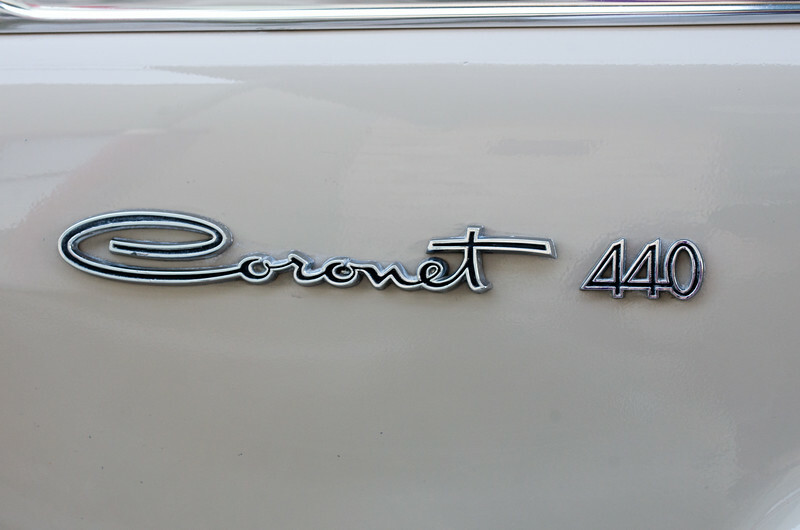 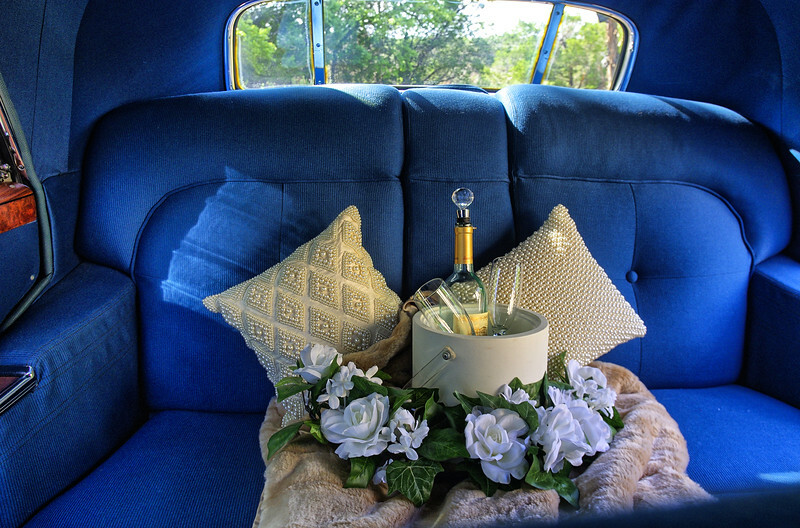 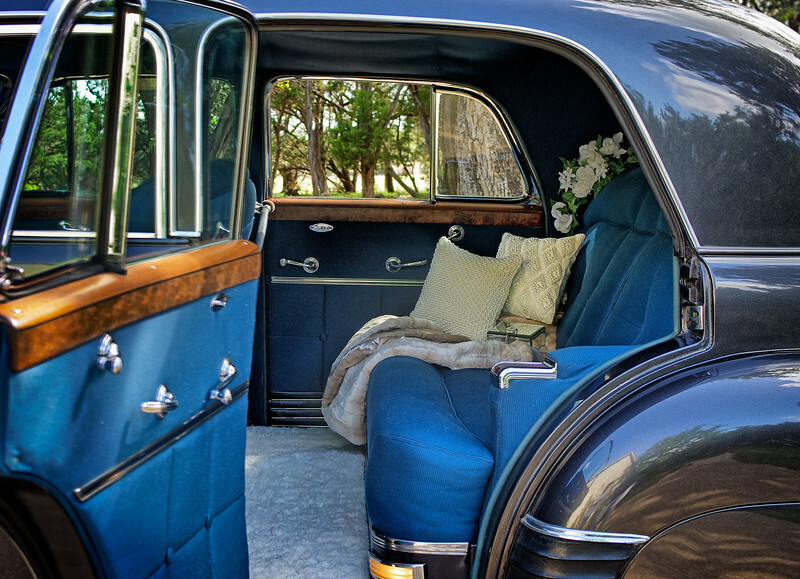 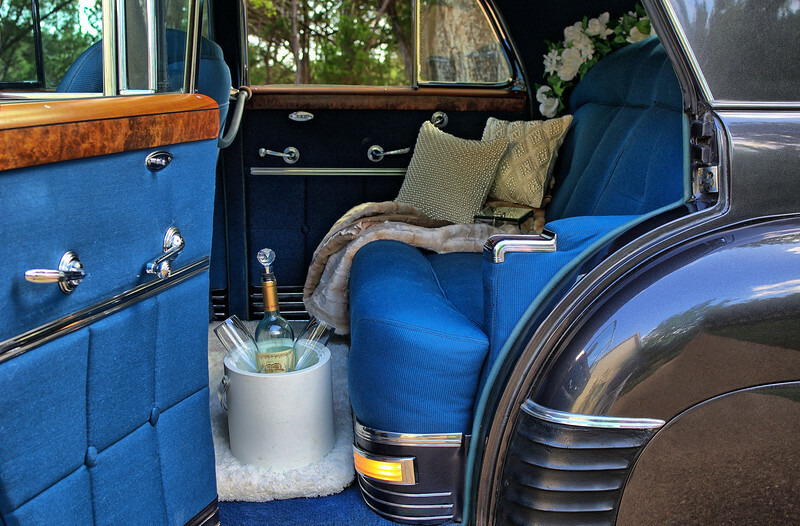 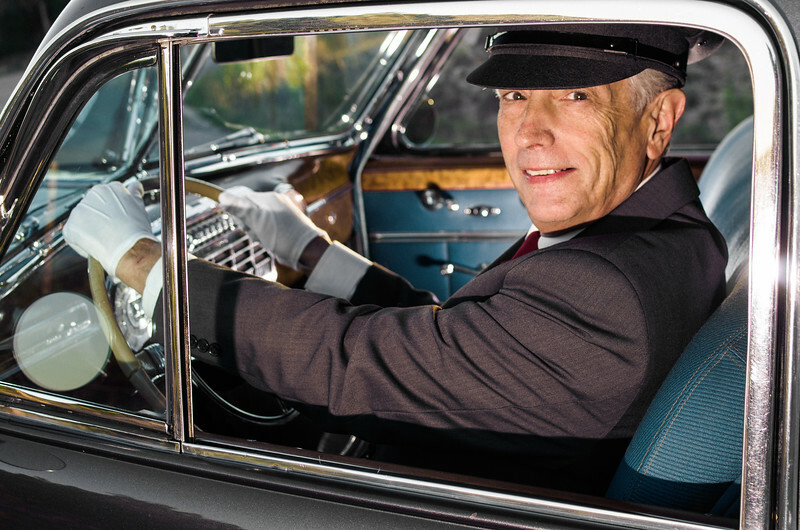 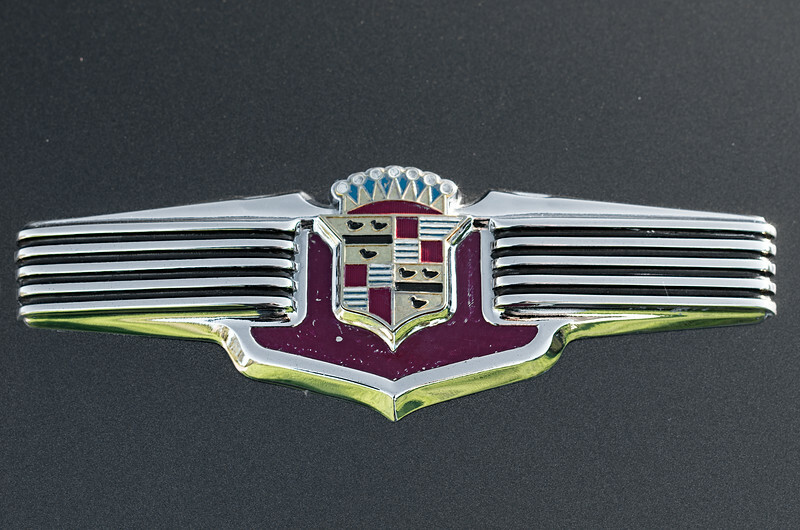 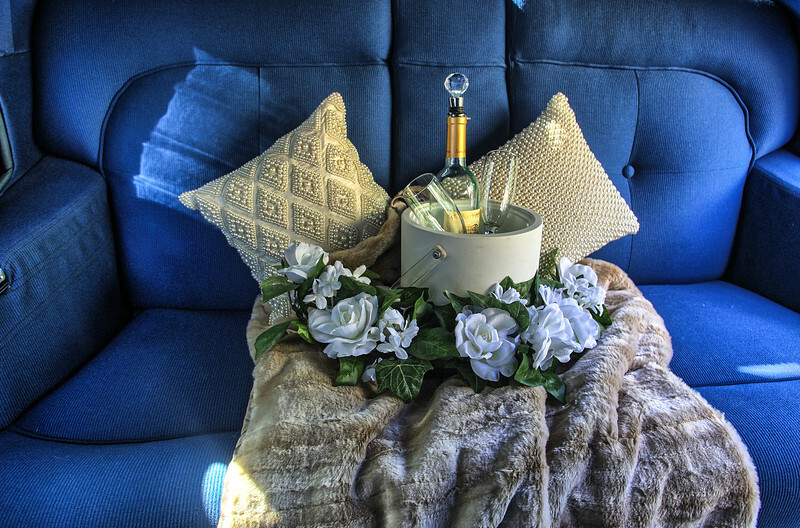 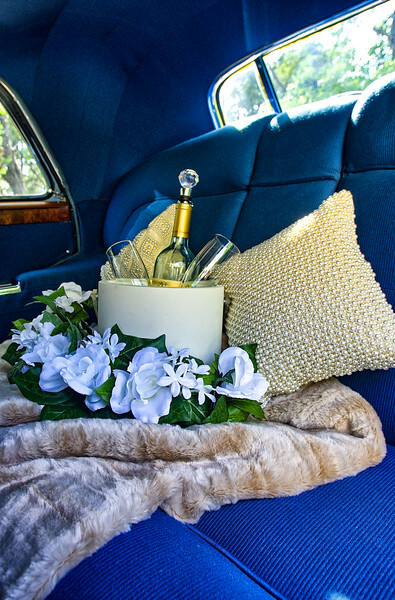 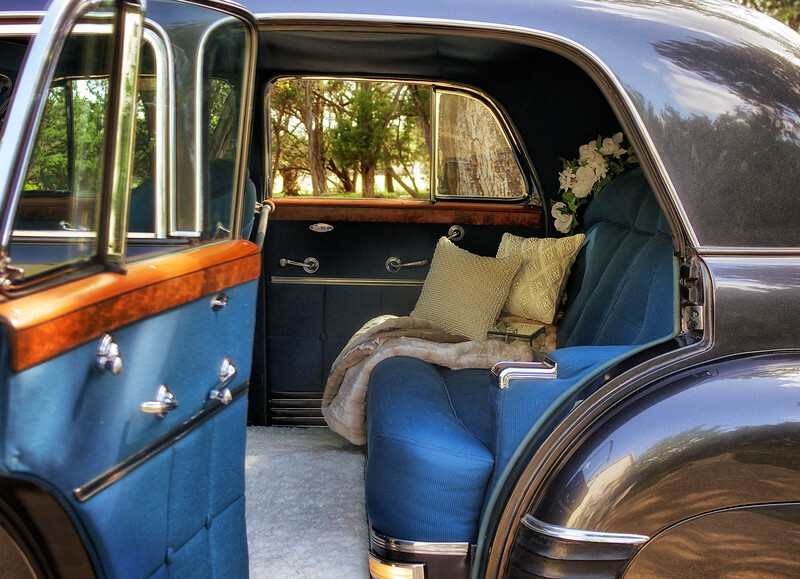 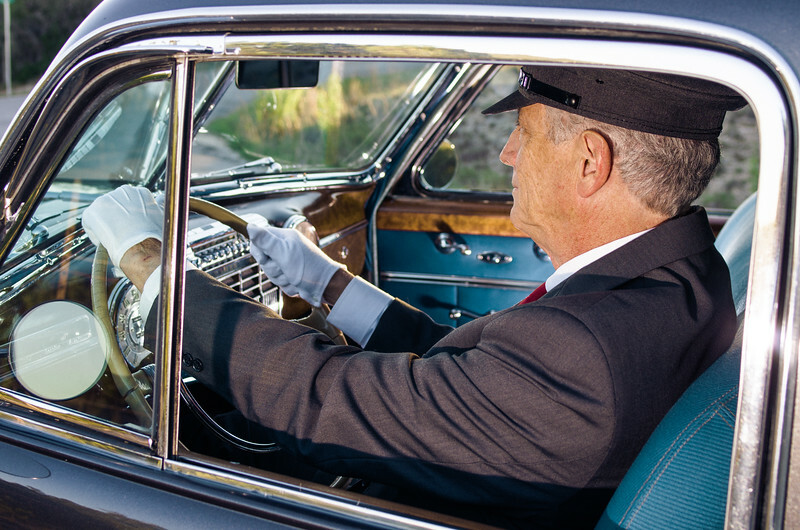 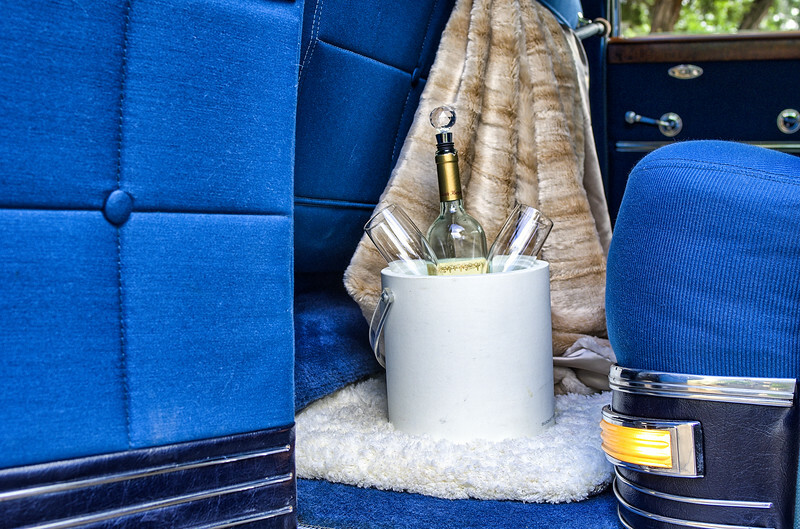 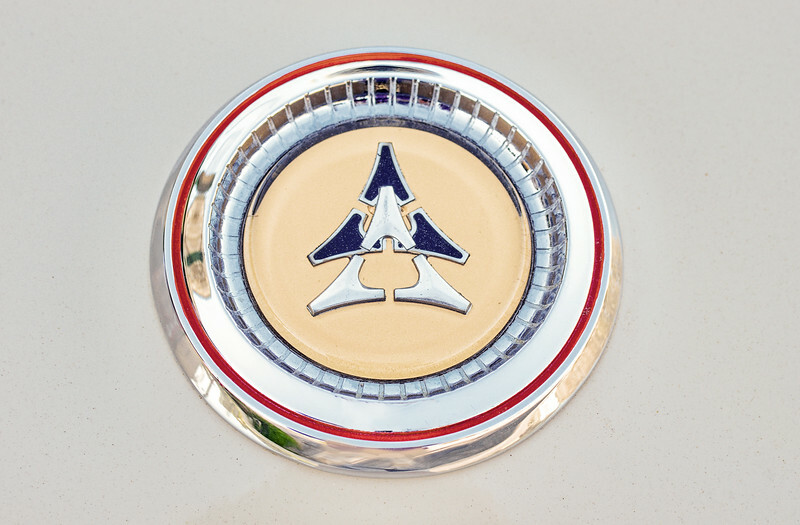 Plush and comfortable in the back seat of 1941 Cadillac. 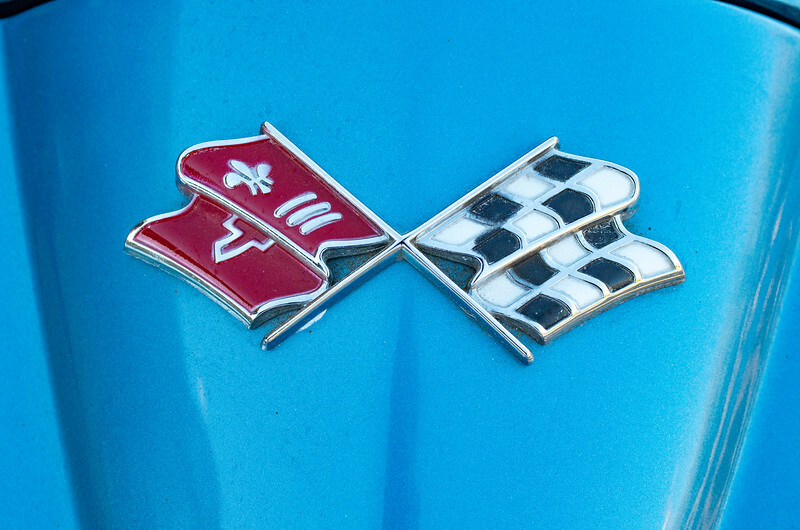 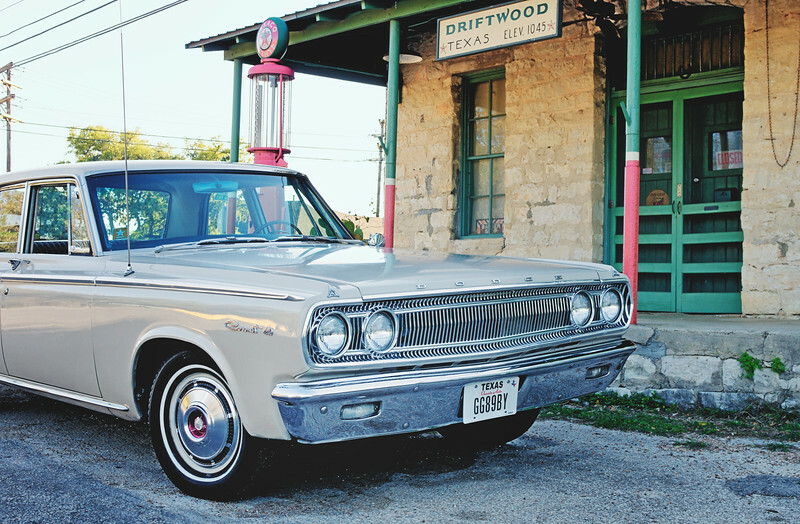 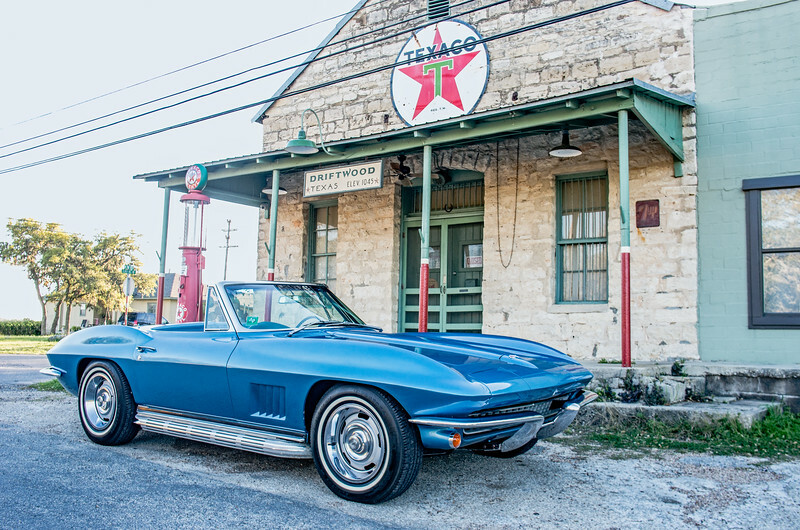 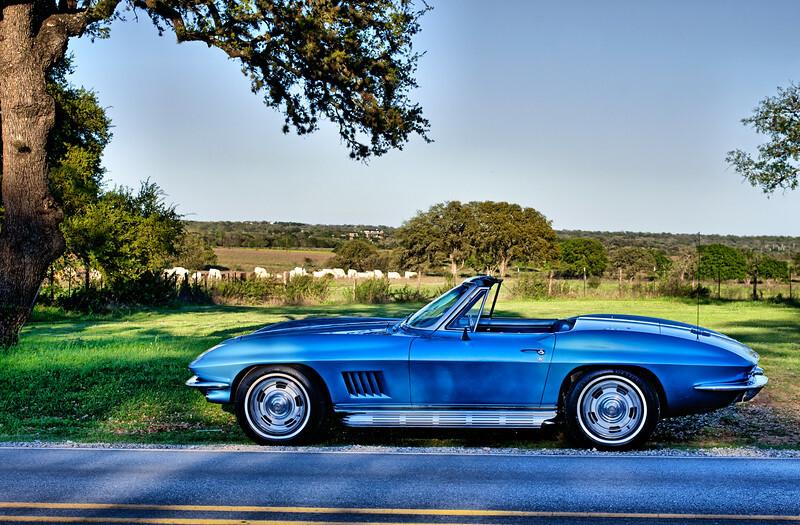 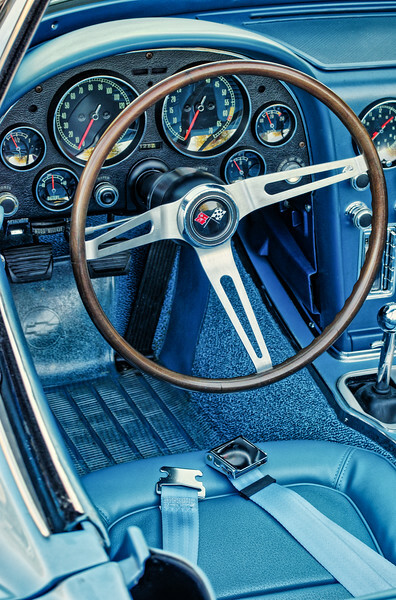 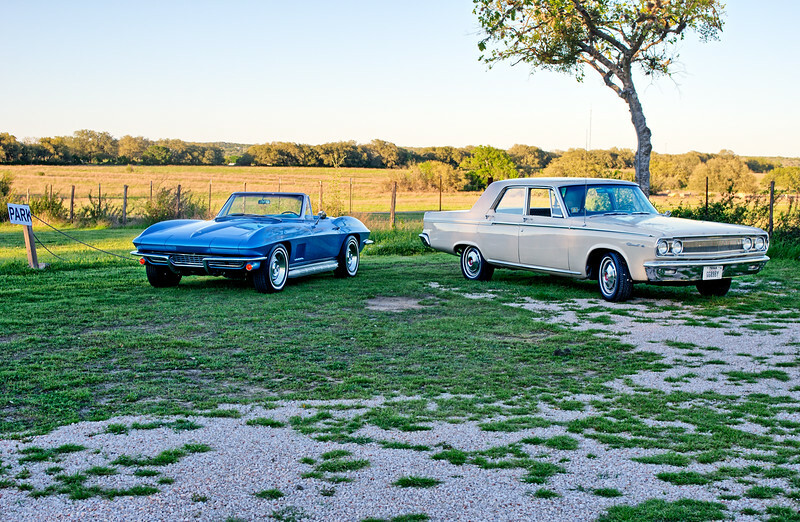 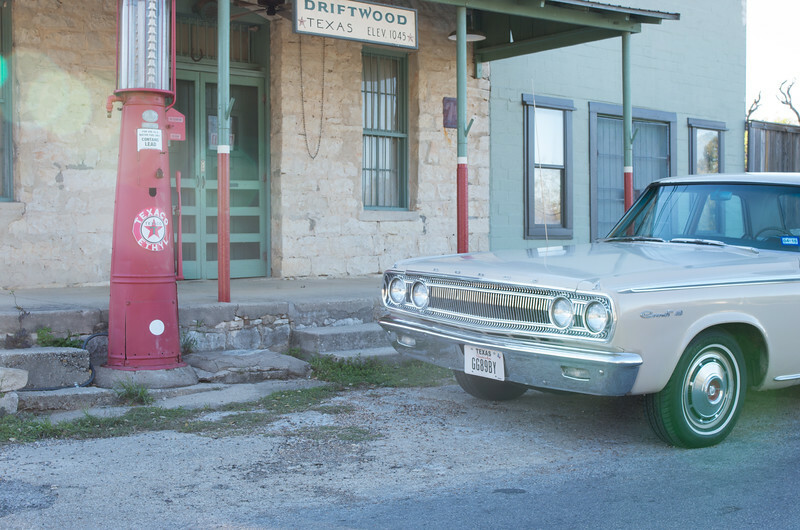 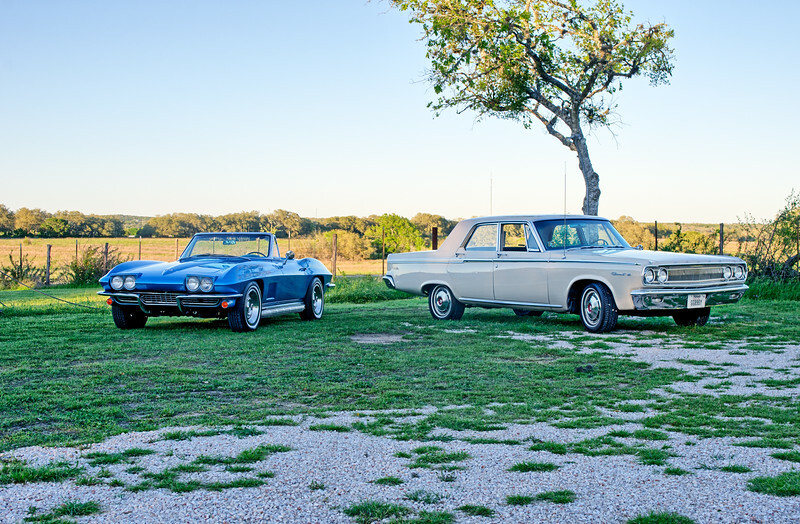 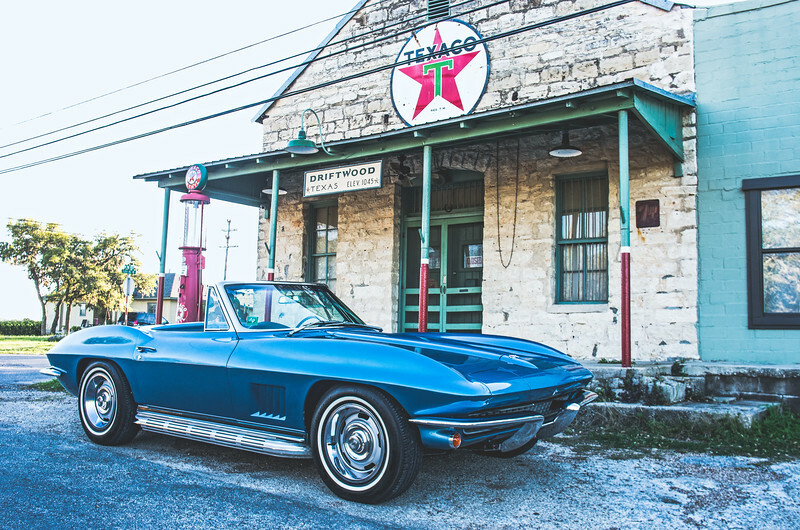 1967 Corvette passing through Driftwood, Texas.